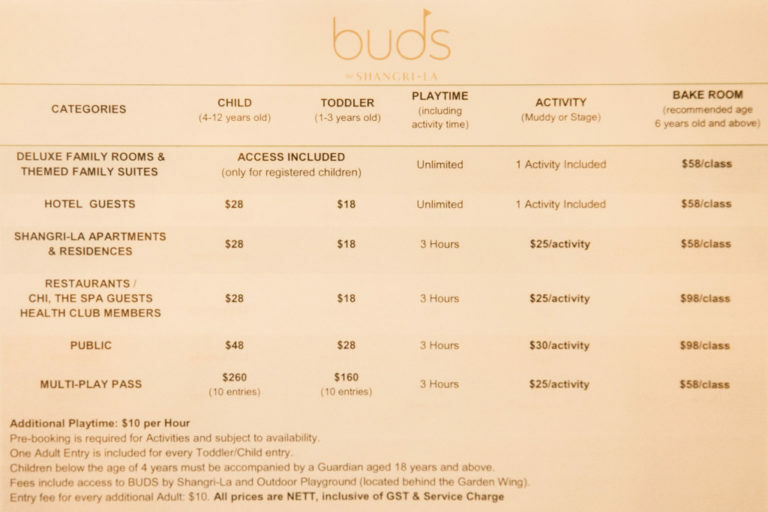 Buds by Shangri-La is a newly launched dedicated children’s interactive play space in the heart of Orchard Road, and it’s open to the public. Elliott − and his mummy − absolutely loved it! The first thing that I noticed upon stepping into Buds by Shangri-La was the soothing colour scheme. It was beautifully complemented by soft, gentle lighting. Together, it gave off a very calming feel, even though it was only a second before Elliott took off running amok like a little monkey! 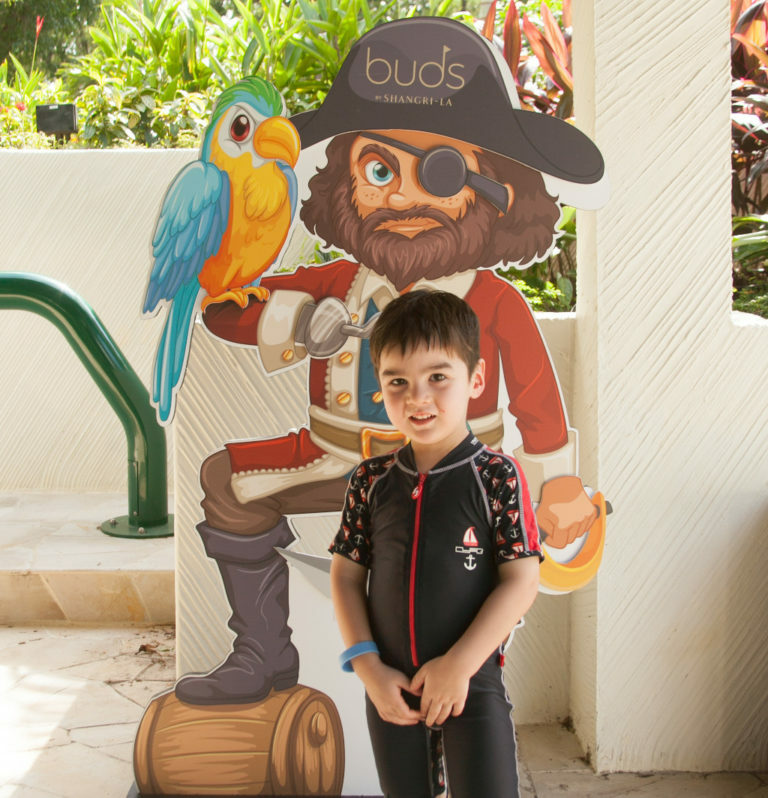 Considering that Buds was created to encourage kids aged one to 12 years to learn through play in a creative, self-directed and experiential environment while bonding with their parents, Elliott’s reaction probably means that they got it right. 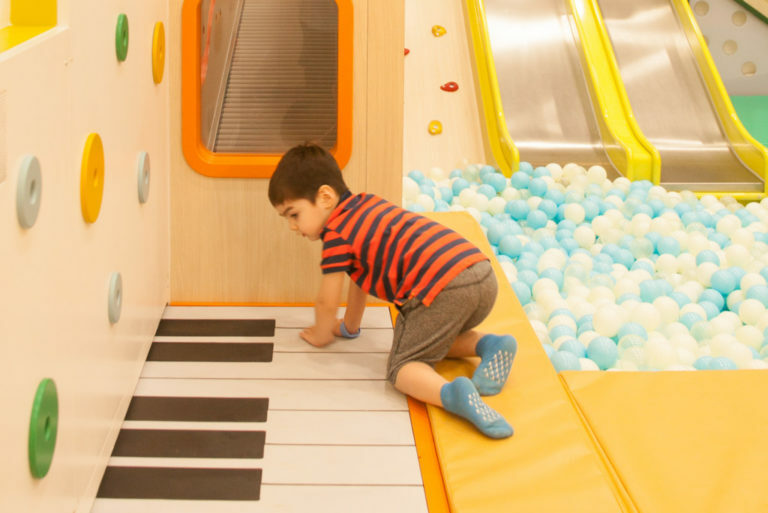 It’s the first time that a hotel on Orchard Road has built an interactive play space for children, and the best part is that it’s not limited to hotel guests. 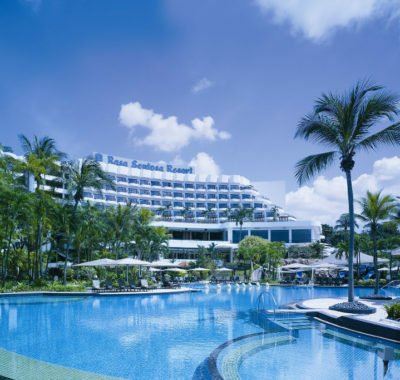 It’s quite large too, spanning over 850 sqm indoors, plus another 1,300 sqm outdoors, surrounded by the lush gardens of Shangri-La Hotel, Singapore. 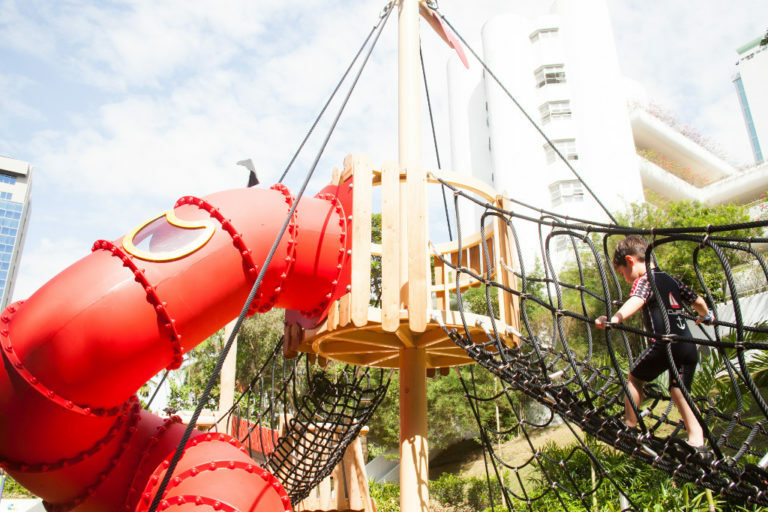 We learnt that Buds by Shangri-La also features curated installations to take kids on a journey of discovery through four key narratives: embracing nature, adventure, camaraderie and independence. 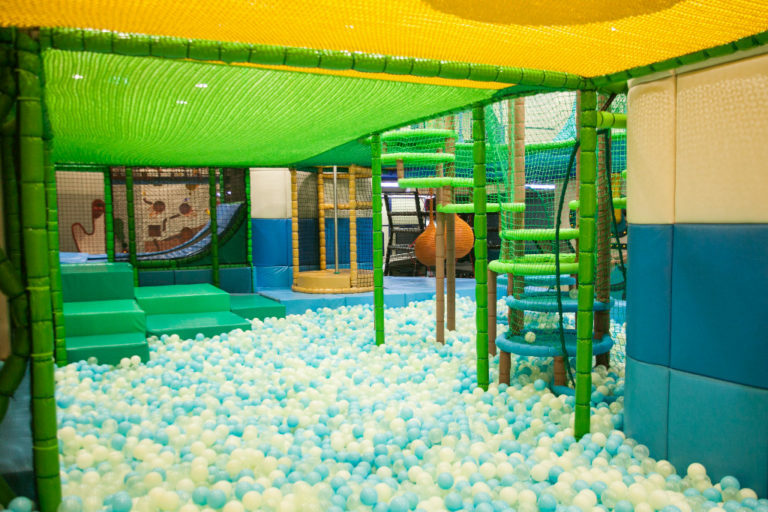 The main play area is split into two levels, including a large ball pit and a bouncy trampoline area. 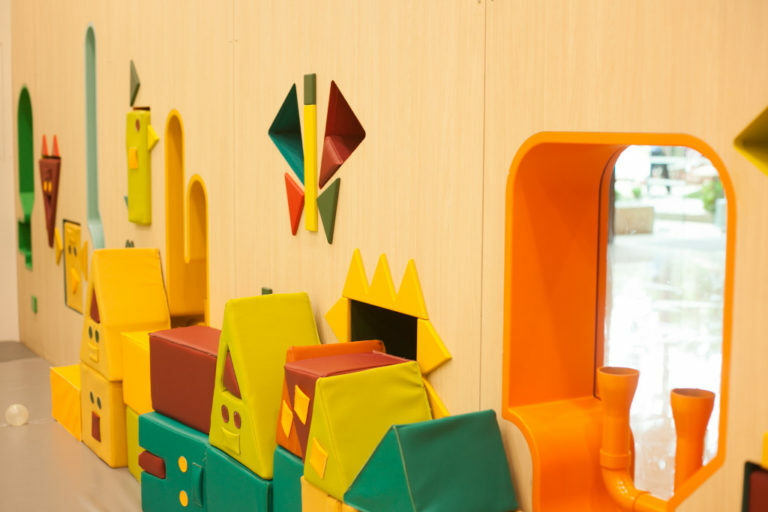 Designed for kids aged four to 12 years, it has netted structures to take you up to the second level. For kids like Elliott who aren’t quite confident with negotiating nets yet, there’s a stairway in the space shuttle zone to get upstairs. There, you can take the spiral slide back down. 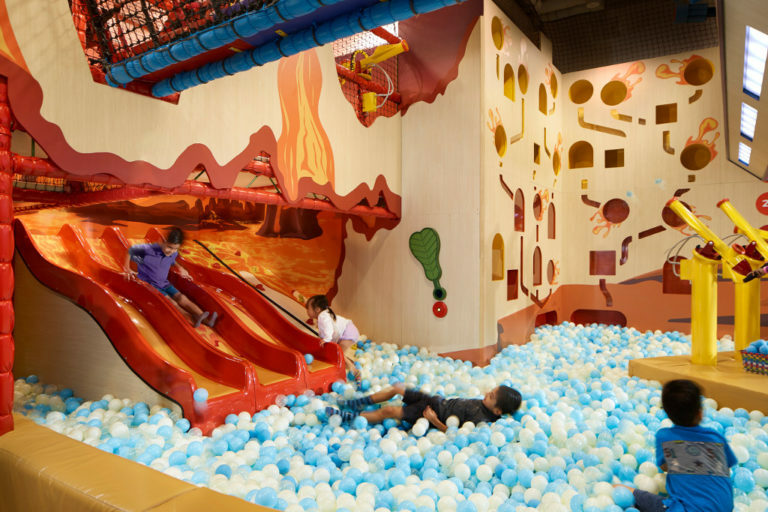 Or cross a Ninja Warrior-style bridge into the volcano zone, where there are slides into a smaller ball pit. There is also waterfall zone, complete with a cassia seeds pit with toys. This is perfect for kiddies who love playing with sand but don’t like getting messy. 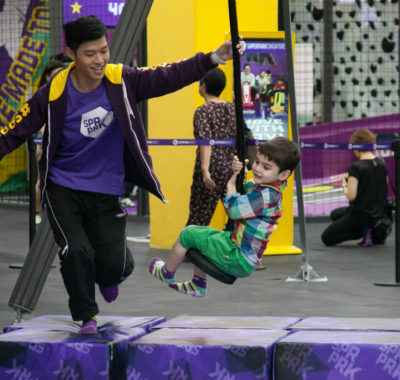 Elliott was drawn to the soft-play toddler play area that’s great for little ones up to four years old. Parental involvement is encouraged here, beginning with strapping non-walkers into the bouncy suspension swings for a multi-sensory treat. The entire area is well-padded, so toddlers can roam safely. 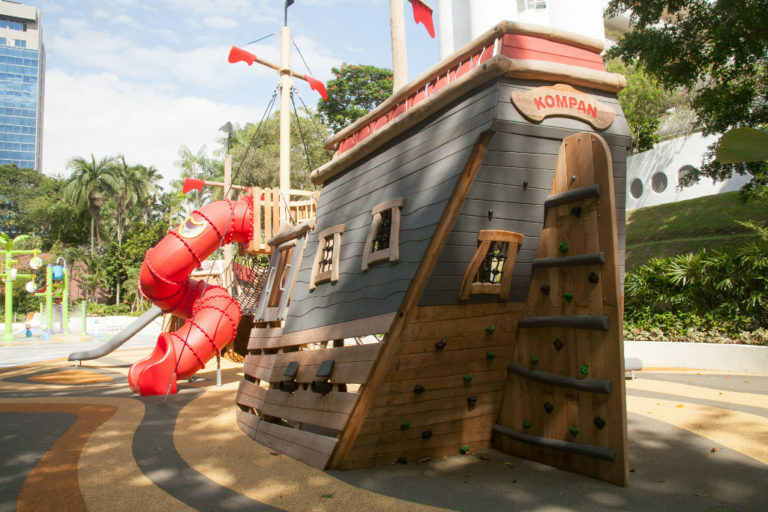 There are also vintage kiddie rides, climbers, crawlers and a smaller ball pit with regular and roller slides. This piano floor is also a really fun touch, as is the puzzle wall with ‘friendly’ squishy building blocks! 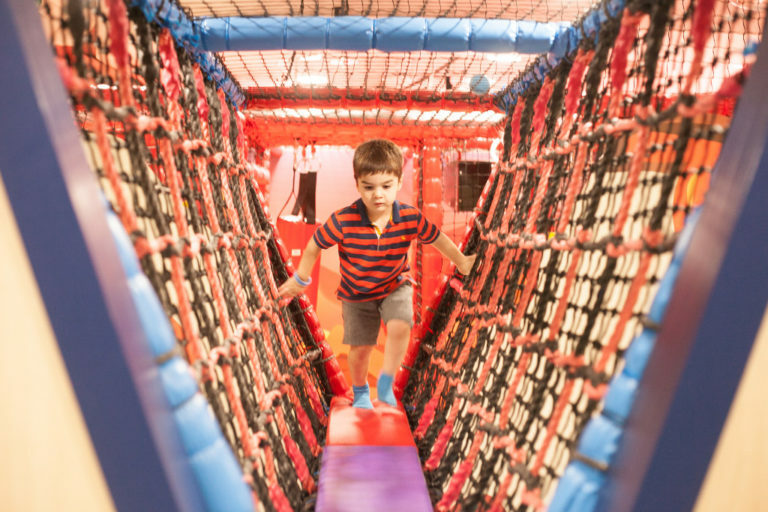 The first curated activity space − and Elliott’s favourite area − is ‘Muddy’. 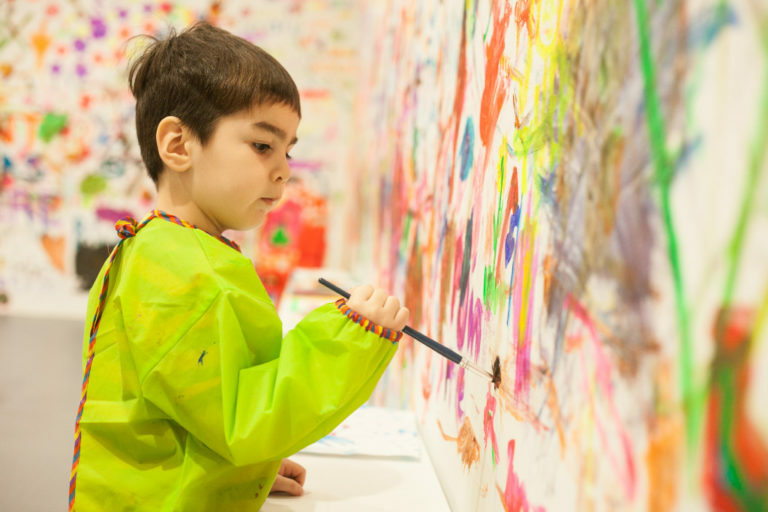 Designed for budding Picassos, it’s perfect if you want to hone the artist in your child without making a mess at home. Upon entering, you put on a painting apron and slippers. Different coloured paints can be dispensed from paint dispensers which remind me of udders. 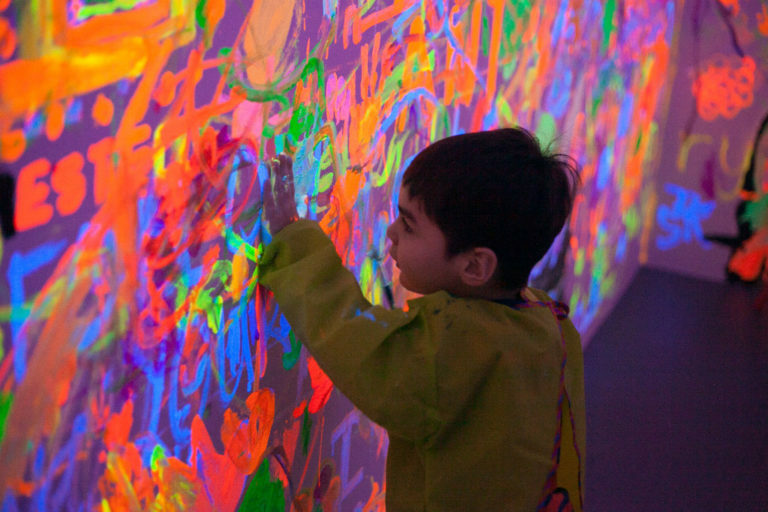 Kids can paint on the table and even on the walls! Once they are happy with their masterpieces, the staff will dim the lights and voila! The entire room is aglow in fluorescence! Elliott was completely entranced and stayed in the room as long as he could. 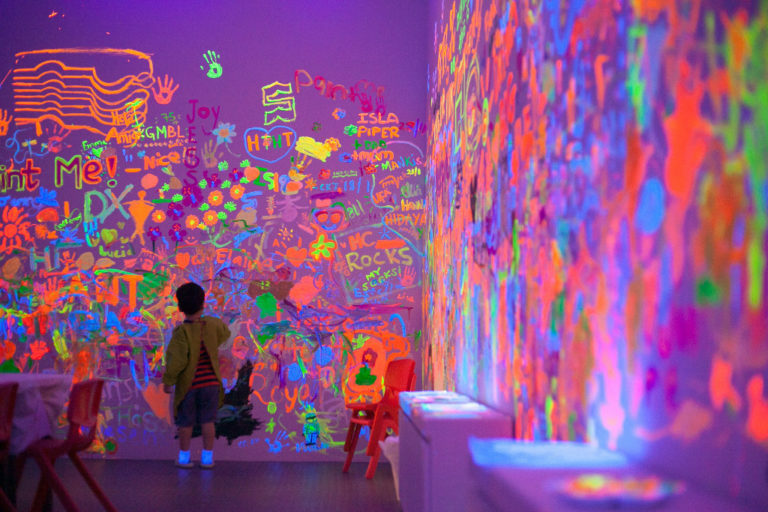 He even started putting paint on his palms to make glowing hand prints on the walls. Next up, a glamorous neon-lit music studio for young performers. ‘Stage’ was Elliott’s second-favourite room and I really liked it too. 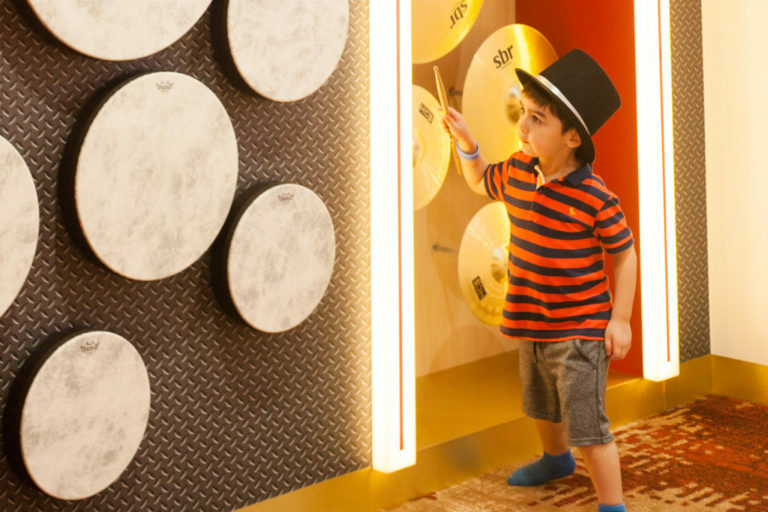 Budding percussionists can play the piano and sing along or hit the drums and cymbals arranged on the walls. 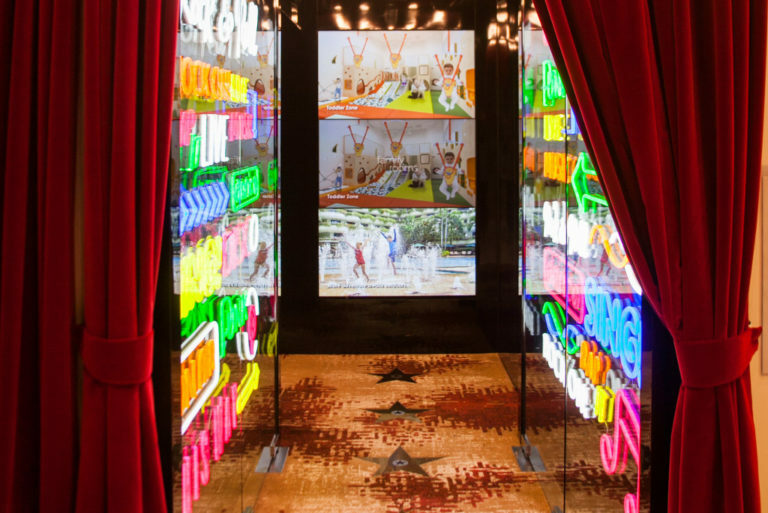 There is also a mini dress-up area with wigs and hats to complete that superstar performance. Singapore Idol-wannabes can pick their favourite songs and karaoke away. The staff are on hand to help them pick songs and adjust volumes. 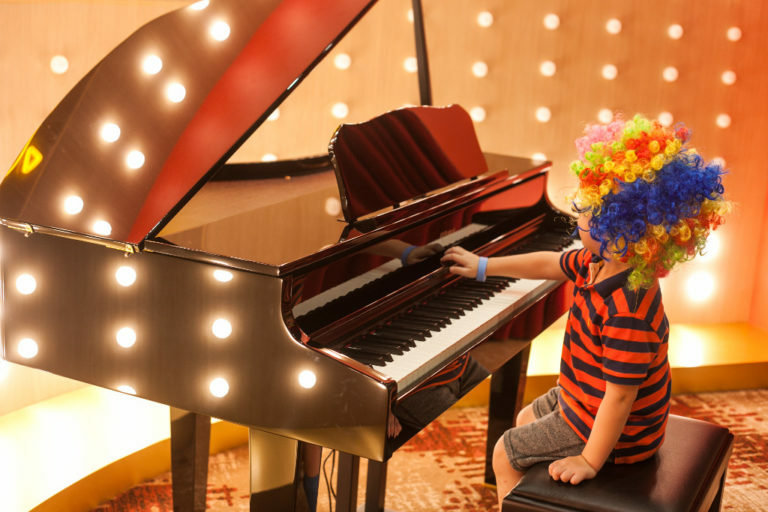 The repertoire ranges from classic kids’ songs to latest pop songs, catering to children of all ages. The room is soundproof and the sound system seems better than most karaoke bars I’ve been to! 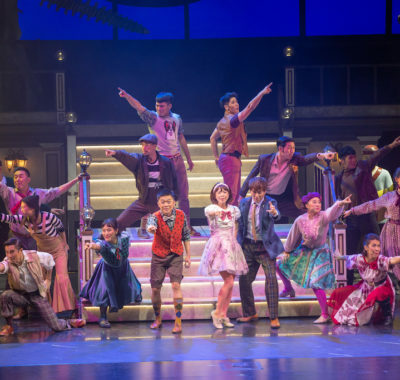 It’s perfect for families that sing together. 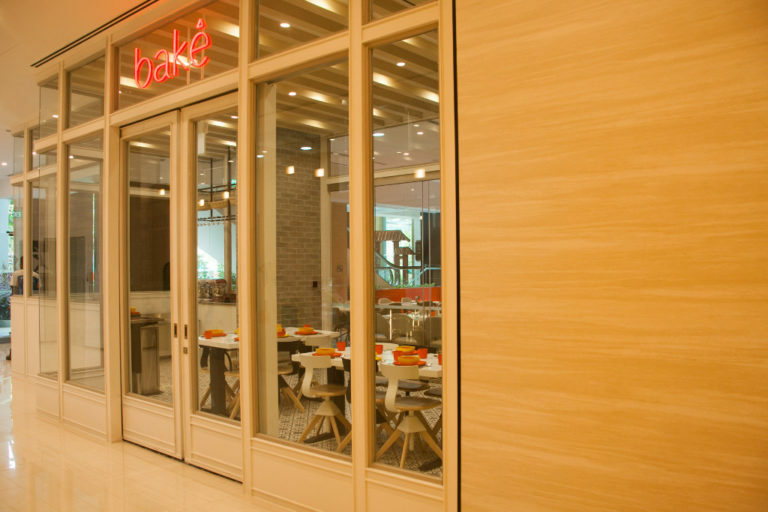 The third themed activity room is simply called ‘Bake’. 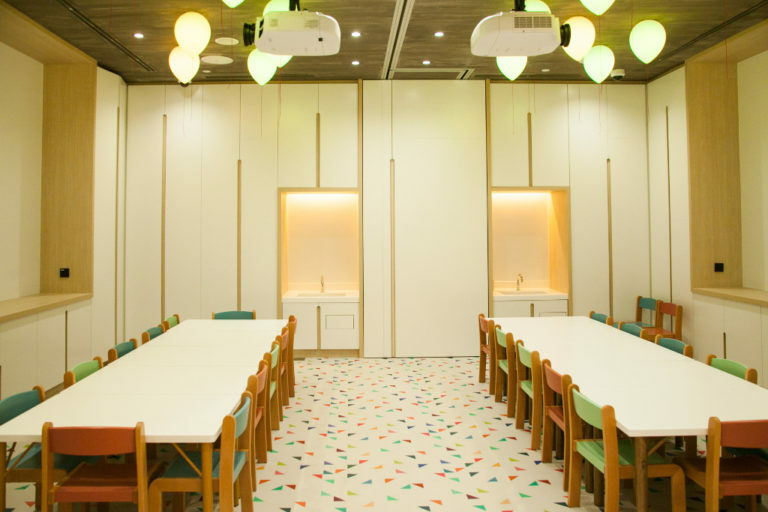 It’s actually a fully equipped cooking classroom for children and parents. Everything is so colourful and at a child-friendly height, but also, #kitchengoals! 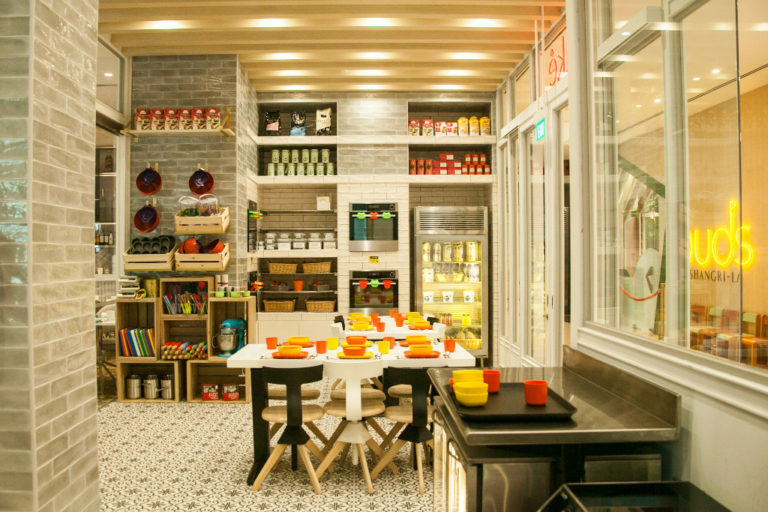 I think it would be lovely for holding cooking-themed kids birthday parties. 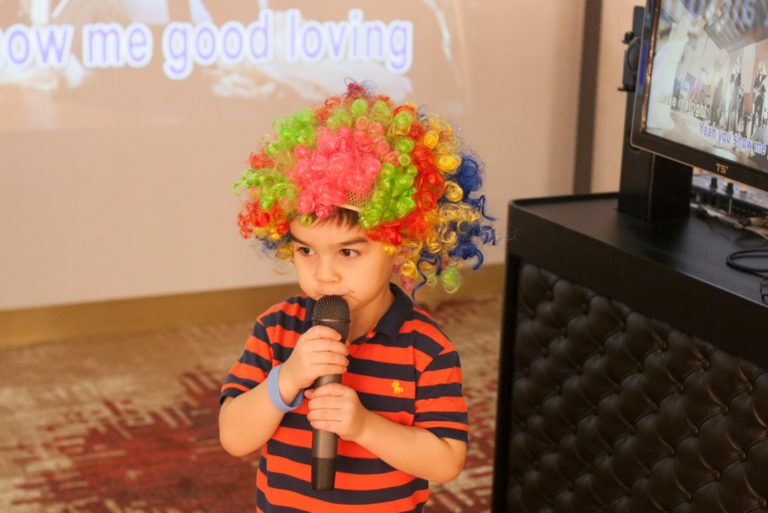 That aside, there’s a dedicated space for birthday parties and other such celebrations. 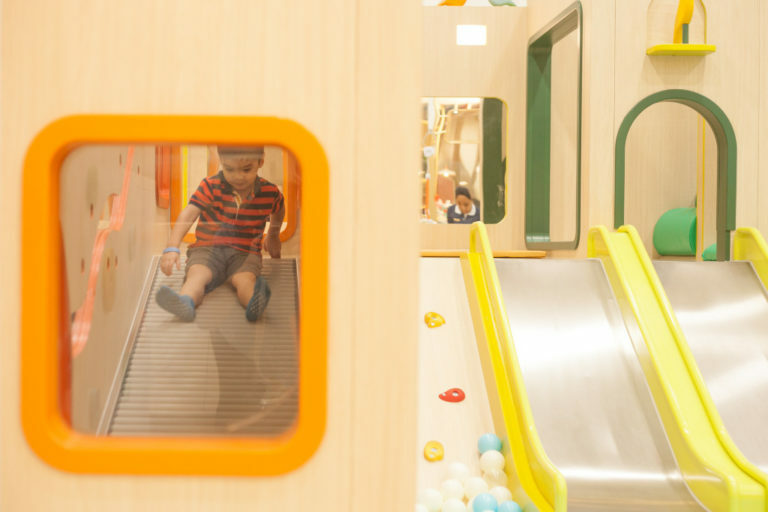 It’s an interactive space that’s ready to host any kind of kiddy entertainment and crafty activities. And just when we thought that was all to Buds, we discovered the outdoor play area. 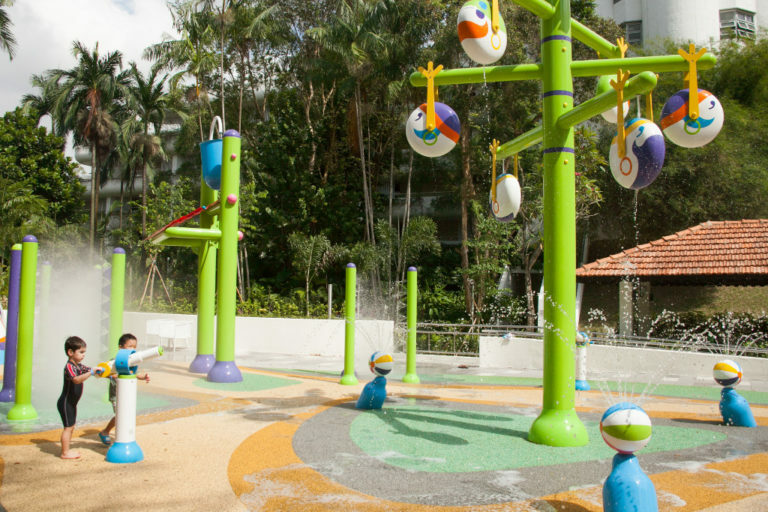 There is a mid-size water play zone with splash pads, as well as a dry playground. Elliott was super excited because well, WATER!!! No prizes for guessing which zone he headed to first. He loves water play, although this one isn’t as exciting as adventurous water parks like Wild Wild Wet, he still had a splashy good time. 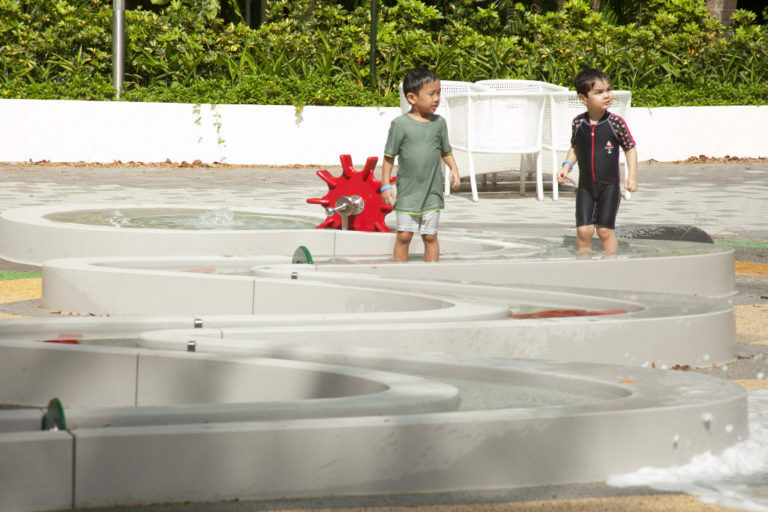 There are water cannons and a wavy ‘river’, as well as a bucket that fills up and spills over for some unexpected glee! It didn’t take long before Elliott had to zoom off to the giant pirate’s ship. 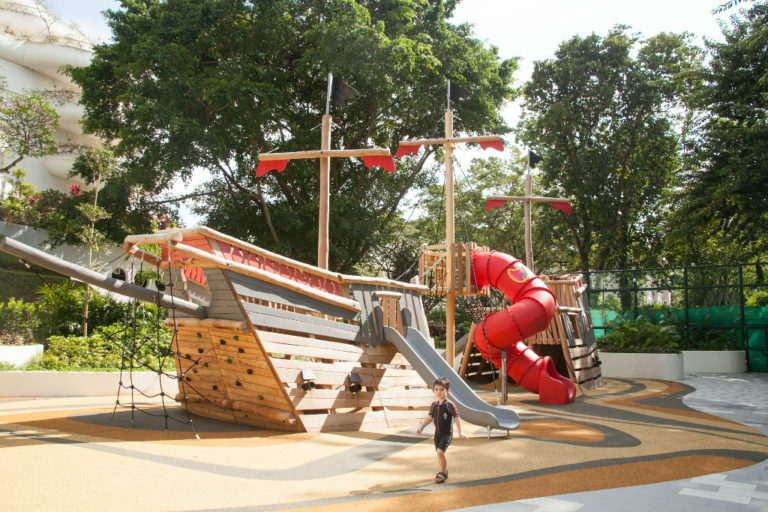 The outdoor playground offers challenging climbs and slides. It’s quite a lovely setting ensconced within the hotel’s landscaped gardens. At first I thought it might be too advanced for him as he had to scale the side of the ship and cross a rope bridge to get to the slide. But he surprised me that day. With just a little help, he got through and after that, he was unstoppable! Finally running out of steam after almost three hours of solid play time, we proceeded to wash up and change at the hotel’s poolside facilities. It’s a good thing I had packed swimwear, sunblock, a towel and extra change of clothes, and I would recommend any parents taking their kids to Buds to do the same! 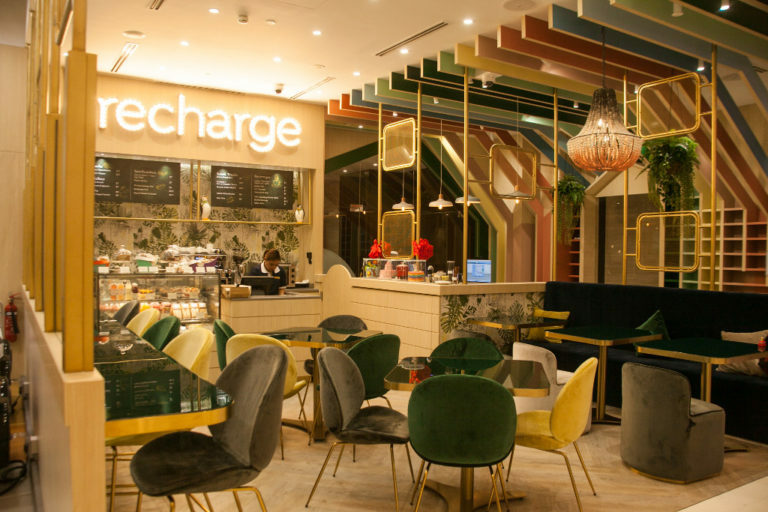 Right next to the entrance to Buds by Shangri-La is the Recharge café. Parents can sit back and enjoy a snack and a drink here. It also comes in handy if you forgot to pack snacks for the kids. From sandwiches and salads to pastries and muffins, there’s plenty of choice for everyone. 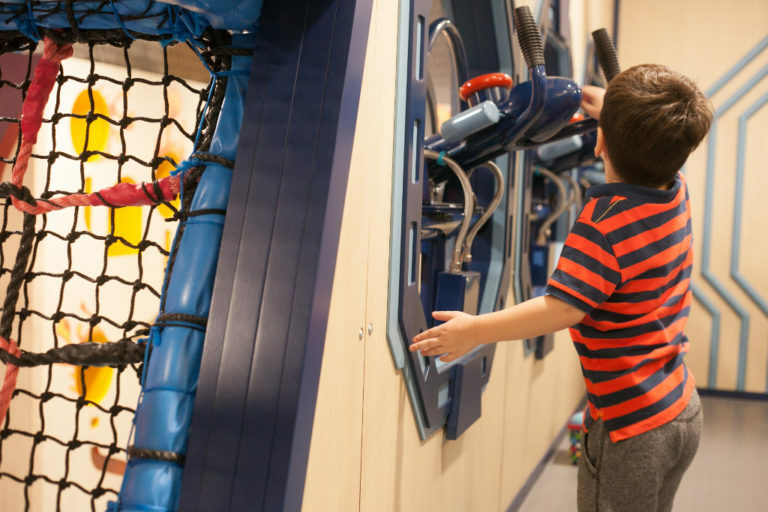 And you can really relax while the kids play, because every child wears a radio-frequency identification (RFID) wristband. 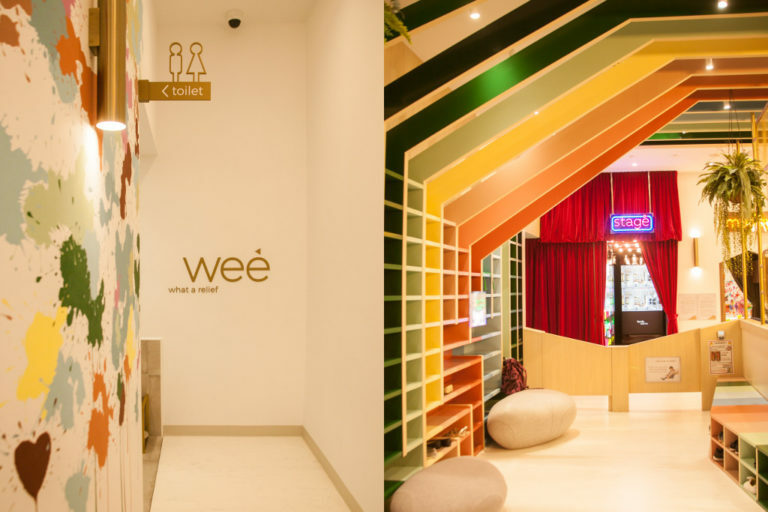 All the amenities have really cute names too − from ‘wee’ for the kiddie toilets to ‘shoo!’ for the shoe and bag storage area. There’s also a nursing room adjacent to the entrance. What can I say, we LOVE this place! I think Elliott finds it rather magical, with the highlight for him definitely being his ‘Muddy’ experience. It’s not the biggest indoor playground but definitely the most beautiful and plush one we have been to. 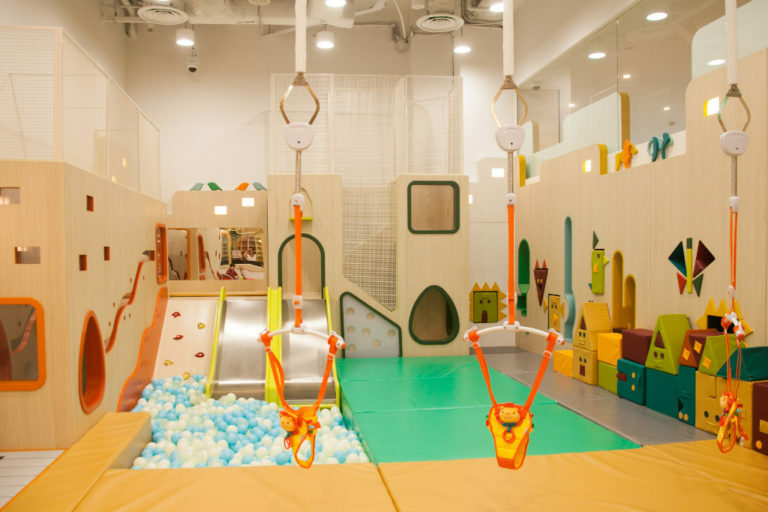 The design is very well thought out and the space is super kid-friendly without forgetting about creature comforts for the adults too. 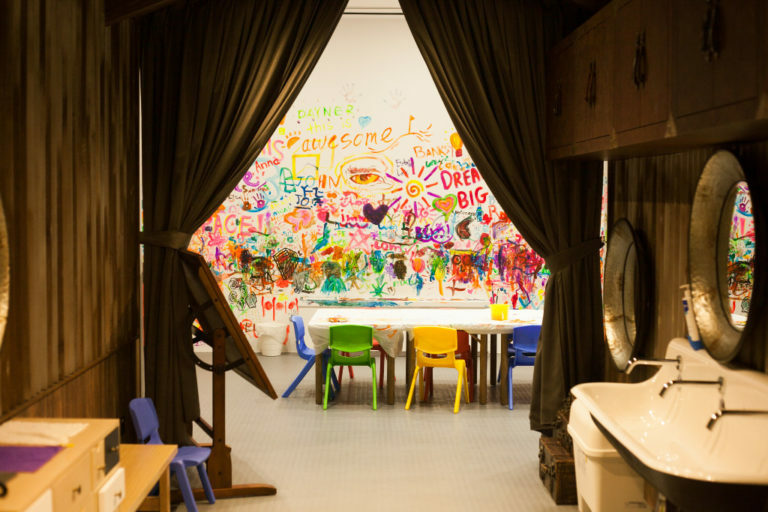 The part that impresses me most is that there are plenty of staff on hand to play with and watch over your kids, so mums and dads can recharge in the cosy café. Buds by Shangri-La staff are all so patient and attentive to the kids too! And did I mention the coffee was really GOOD!? 1. Like and share this article on Facebook. Keep your share public so we can see it! 2. Comment below to tell us why your child should win and tag 2 friends who has kids too. 3. Now just sit back and relax.